The Christian woman, acquitted of blasphemy, is back in Multan prison. Her family is not under police protection. For Pakistani activist, “Only our Lord Jesus Christ is our protector.” He adds that Christians love Pakistan “with all our strength”. Islamabad (AsiaNews) – Asia Bibi, the Christian woman acquitted of blasphemy but still threatened of hanging by Pakistan's Islamic radicals, "is back in Multan prison,” said Joseph Nadeem, executive director of the Renaissance Education Foundation. He spoke to AsiaNews whilst in the company of Asia's husband, Ashiq Masih, and their two daughters. Despite her exoneration by Pakistan’s highest court, Islamic extremists forced the government to revise the ruling. This is why she is back in prison waiting for another decision. Since then her family has been in hiding, waiting to embrace her as free woman. In a message to the world, Ashid said, “We need protection. Help us and pray for us, pray for our salvation and justice for Asia Bibi." For Nadeem, Bibi’s relatives "were very happy after the Supreme Court ruling and could not wait to finally welcome her in their arms". However, the verdict "triggered protests by fundamentalists throughout the country, blocking roads, causing lawlessness.” To stops this, "unfortunately the government struck a deal [with them]. We hope Asia can reach a safe place as soon as possible to be saved". For the activist. Asia Bibi is "innocent. In theory she ought to be free already. Instead, the government failed to stand up to extremist pressure. This is another reason for the crisis." "This is not a case that concerns Asia Bibi alone,” he said. “Justice, respect for the law, the Supreme Court and the honorable justices are also involved." Although contacted by AsiaNews, the leaders of the Pakistani Church have not issued any statement on the matter. Nadeem instead, despite the government caving in, wants to "speak only favourably about our country, which we love with all our strength." He is certain "that the Supreme Court will not overturn the sentence that its own worthy justices have pronounced". 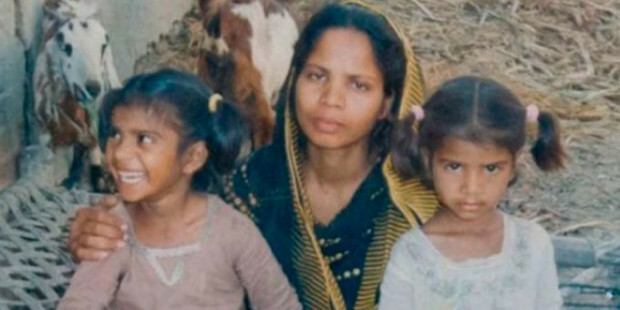 Asia Bibi’s family "is sad about what's going on, but we're sure she will be released soon. We are not protected by anyone; only our Lord Jesus Christ is our protector."